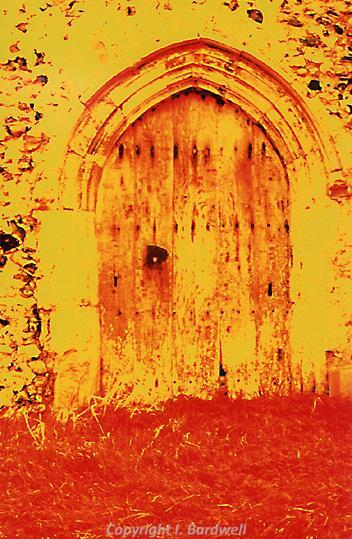 One of a series of infrared transparencies of the North doors of Norfolk churches. It is said that when worshippers cross themselves with water at the South entrance of a church, the devil beats a hasty retreat via the North door. Using infrared film which responds to reflected heat means that if the devil should emerge while my camera is set up, he will certainly be captured! Infrared transparency on acetate.